It may be necessary to force an executor to settle an estate if he fails to perform any portion of the probate process. If the will of a Maryland decedent (deceased individual) is not presented to the Maryland Register of Wills or Maryland Orphans' Court by the named executor, Maryland probate law allows anyone with a legal interest in the will to petition the Maryland Orphans' Court to initiate probate. Any interested person may also petition the court to resolve any question or dispute about the probate process along the way. 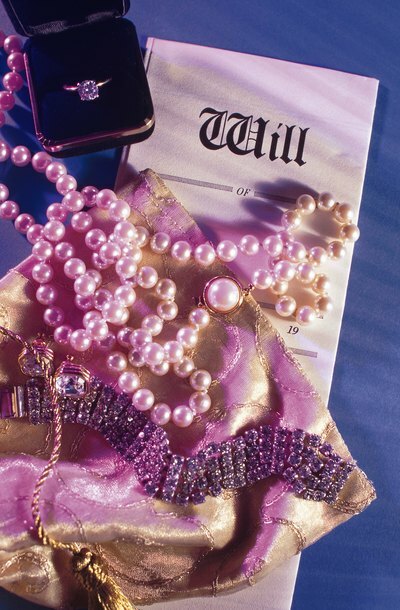 File the will with the Maryland Orphans' Court along with a petition to initiate probate. If the executor named in the will, also known as the personal representative, fails to present the will to the court, any person with a legal interest in the will may do it. This petition begins the probate process by allowing the court to either appoint an executor or administrator to oversee continuation of the probate process. Alternatively, the court may order the individual named as executor in the will to provide an accounting of his activities and either step down or fulfill the duties of the office. The required content of the petition may differ depending on the size of the estate. Form petitions are available from the Maryland Register of Wills. Contact the executor with questions concerning the progress of probate. Alternatively, petition the Maryland Orphans' Court to resolve any question or dispute arising during the probate process. If the appointed executor stalls during the process of settling the estate, petition the Orphans' Court for an order requiring the executor to account for his actions. Ask the court to compel him to proceed with probate or ask for the executor to be removed and a substitute appointed. Receive the Orphans' Court's order compelling the executor to answer for any stalling in the probate process. The court often orders an accounting of the executor's actions up to that date and requires the executor explain why the probate process has stalled. The executor files an answer, after which all interested parties are notified of a hearing date. Anyone with a legal interest in the will has a right to attend. What Is a Petition to Probate a Will?